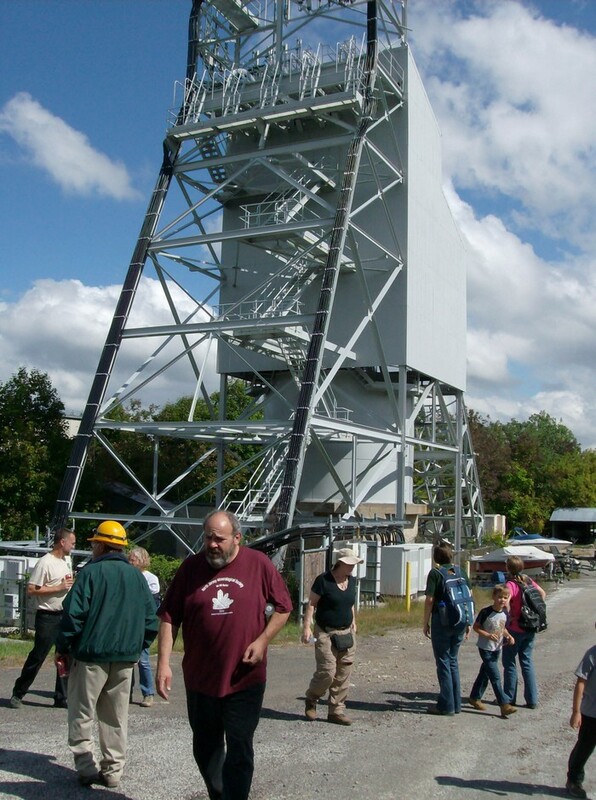 The North Jersey Mineralogical Society held their annual field trip and club picnic at the Sterling Hill Mining Museum on September 21, 2013. It was a chilly and breezy day, but the sun popped in and out from behind the clouds, making for really nice conditions for some collecting, exploring, and some good food for members in attendance. About 30 club members ventured out to Ogdensburg and were treated to a unique day at Sterling Hill Mining Museum. The day began with Bill Kroth, the president of the museum, offering the club an "open house" feel, where members could freely explore the museum facilities on site as well as touring the mine at any time. This is something that everyone enjoyed. 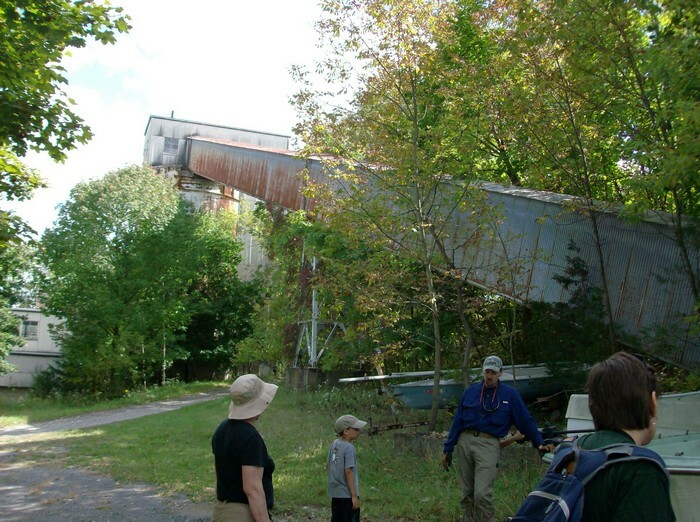 After lunch, club members were treated to a tour of the Upper Mill facilities, led by members of the Delaware Valley Earth Sciences Society, where they made their way through the old buildings up on the hill above the main facility. 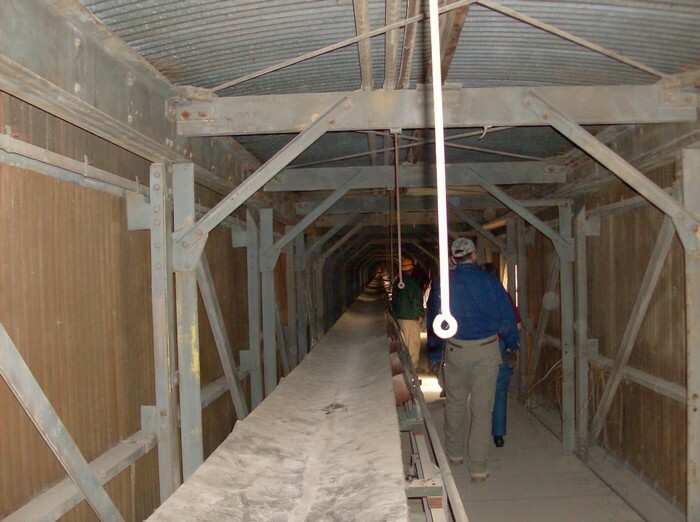 They toured the area around the main headframe of the mine, the milling facility and several buildings containing the conveyor system, including the main conveyor, which shoots across the sky high above the Sterling Hill Mining Museum property. 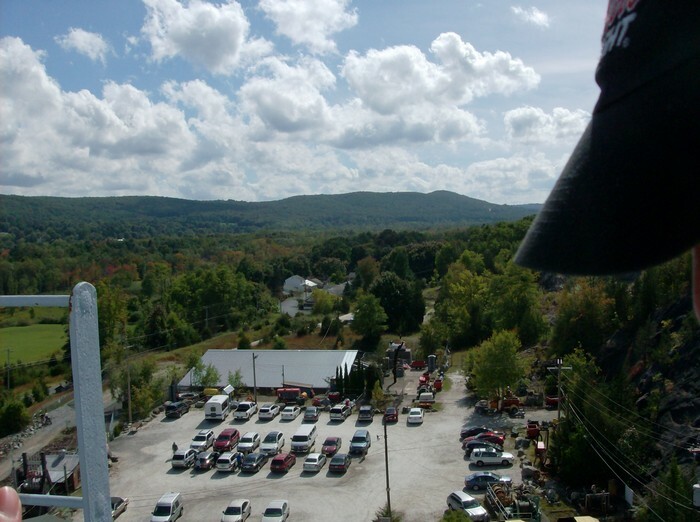 Members were treated to spectacular views from the main high tower of the conveyor, where they were able to poke their heads out onto a porch over 100 feet above the ground, giving an amazing overview of the grounds. Then, they collected in the pit areas for the remainder of the day. Sterling Hill, under the leadership of Bill Kroth, is making many incredible changes and improvements, and the future of the facility is looking brighter than ever. It was a super day at a super facility. Our 3D Animated Crystals for each mineral is now using JQuery instead of Java! This means no more annoying security warnings, and it also means all browsers can now play the animations, including cell phone browsers and iPads. Thanks to Smorf for making the new and friendlier version! We have emailed our Fall 2013 edition of the Minerals.net online newsletter. The article on "Join a Club" is listed in the previous news post.